Born on 8 April 1911 in Romania, in the Transylvanian town of Rasinari, with Sun in Aries and Moon in Leo (1.5), died on 20 June 1995, Cioran was one of my most inspiring teachers. In my 20s I was particularly inspired by Cioran's ecstatic pessimism, humourous nihilism, enlightened alienation, exalted boredom, blissful agony and sense of futility, which all coincided with my pragmatic experience of life. I had never met anyone providing such an authentic, genuine and honest description of life. For the first time I could sense an extreme resonance, realising that it was possible to translate non-ordinary experiences into ordinary language. 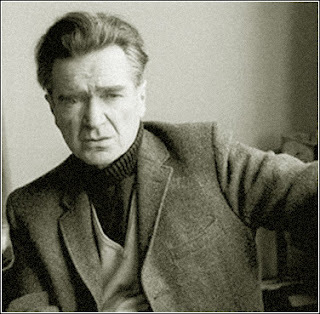 Cioran spent most of his life in France where he wrote most of his works, such as Précis de décomposition (A Short History of Decay), La tentation d'exister (The Temptation to Exist), La chute dans le temps (The Fall into Time), Le mauvais démiurge (The New Gods), De l'inconvénient d'être né (The Trouble With Being Born), Écartelèment (Drawn and Quartered). I was first drawn to Cioran primarily because of the intriguing nature of his titles, which then became major milestones on my path. Unfortunately only very few of his works have been translated in English. True moral elegance consists in the art of disguising one's victories as defeats. The only profitable conversations are with enthusiasts who have ceased being so—with the ex-naïve…Calmed down at last, they have taken, willy-nilly, the decisive step toward knowledge— that impersonal version of disappointment. As long as I live I shall not allow myself to forget that I shall die; I am waiting for death so that I can forget about it. We smile, because no answer is conceivable, because the answer would be even more meaningless than the question. I'm simply an accident. Why take it all so seriously? So long as man is protected by madness -he functions - and flourishes. The more we try to rest ourselves from our Egos, the deeper we sink into it.